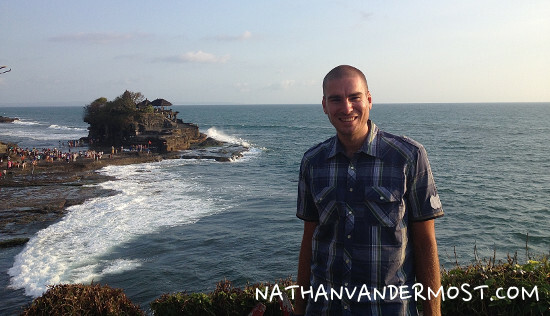 Several weeks ago, I decided that I wanted to learn to surf and after researching the best spots to learn in Southeast Asia, I decided to book a flight to Bali, Indonesia. 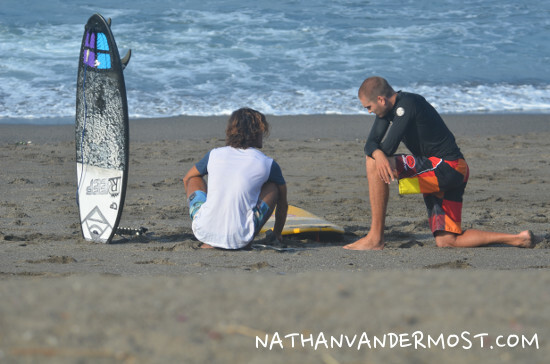 Find out more about How To Plan A Surfing Trip To Bali Indonesia. 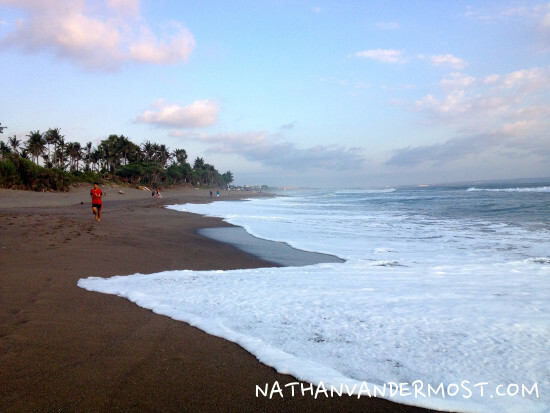 Based on my research, Bali, Indonesia is the top destination for surfing in Southeast Asia. Unfortunately, the day prior to my departure, I realized that I booked the wrong flight… Departing from Bangkok instead of Chiang Mai….I called the airline and changed my flight for 1200 baht or 40 USD. Considering the flight originally cost me 2200 baht, I was not super excited about my mistake. But I was thankful that I did not come to this realization at the airport… That would have been sub-optimal. Once I arrived to DMK in Bangkok, Thailand. I grabbed a taxi to go to a hotel that I booked close to the airport via Agoda.com. The location of the hotel was a little hidden but the taxi driver eventually found it. I laid low and went to sleep at 8pm as my flight departed at 6am and I need to wake up at 4am… Woo. Hoo. “Siren sound!! !” “Siren sound!” I wake up to the blaring alarm on my phone. I had set 5 alarms because I wanted to ensure that I would wake up on time. I set one for 3:55am, 4:00am, 4:05am, 4:10am and 4:15am. I feel groggy and very tired. I try to call the front desk, to ask for a taxi but the phone does not work… I stumble to the bathroom and take a shower. Afterwords, I quickly pack my bag and head to the reception desk. The receptionist is able to call for a taxi and it arrives quickly. I arrive to the airport by 4:30am, as the airport is close by. I was surprised by the amount of people that were at the airport. Apparently, I am not the only person going to Bali, Indonesia. I am able to check-in to my flight, go through immigration, airport security and get to my flight gate with some time to spare. whew. My flight to Bali went really well and I sat next to an interesting German named Daniel. 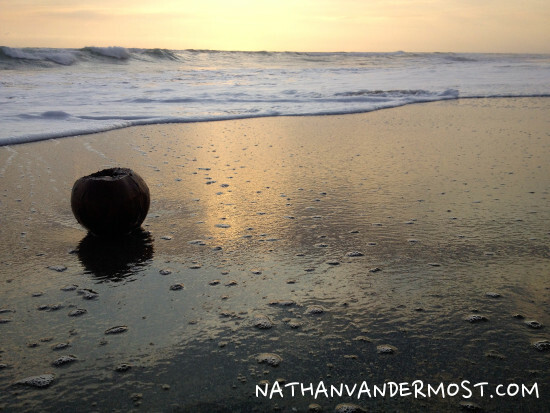 We had a great conversation and he shared some great stories and travel insight. Once we arrived, you have to pay a tourist visa fee of 35 USD. They accept other currencies as well. You will need to verify the cost of a VOA (Visa On Arrival) as the rules are always changing. 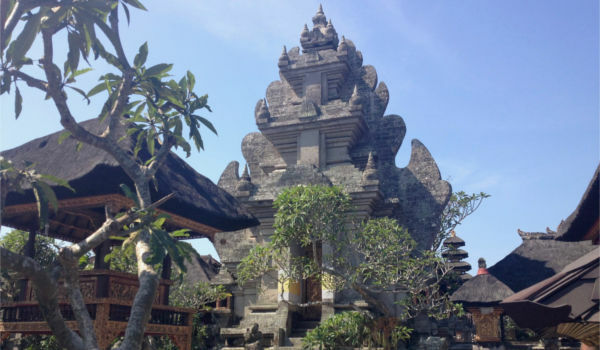 I have found bali.com to be a good resource for finding helpful advice regarding current visa regulations. Following, you get to baggage claim and then customs, where you have to declare certain bizarre items. Fortunately, I did not have any of the bizarre items and had a smooth process going through customs. 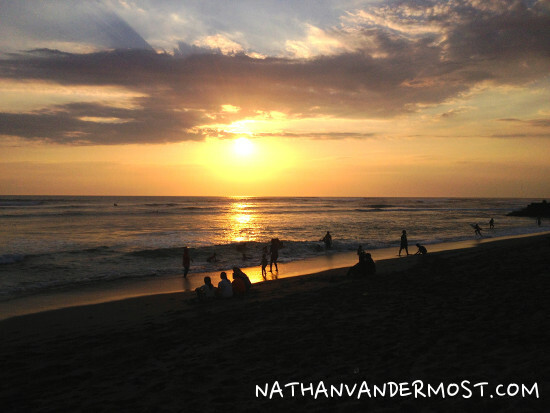 Daniel and I decided to share a taxi to kuta where his accommodation is located, a short 20 minutes north of the airport depending on traffic. When we exited customs, we got bombarded by taxi drivers. “Hello Sir, Do you need a taxi? !” “Where are you from! ?” “Where do you need to go? 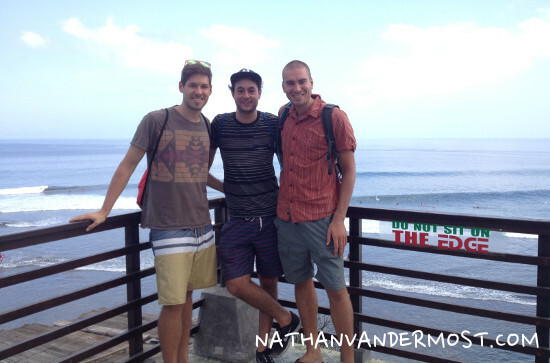 !” Daniel and I were determined not to get ripped off and decided to walk outside of the airport and then find a taxi. The airport has an 8ft fence that surrounds it so there are only a few select locations where you can walk out. After walking in circles and asking around we found one of the secret openings that allows you to get out. It is important to mention that it was blaring hot during this process. But! We made intentionally made the decision to exit the airport contrary to the status quo. 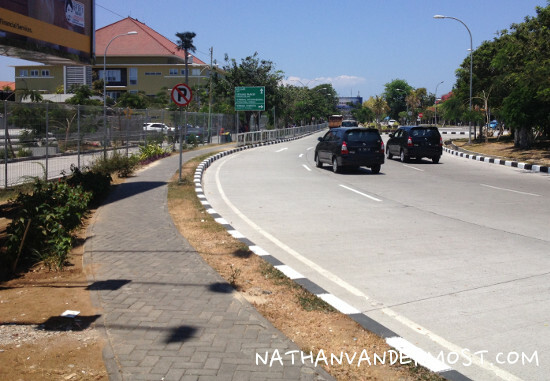 The drive from the airport to Kuta was exhilarating. Traffic. Is. CRAZY! I think the cab drivers should offer their passengers eye masks so they do not have to look at the road. 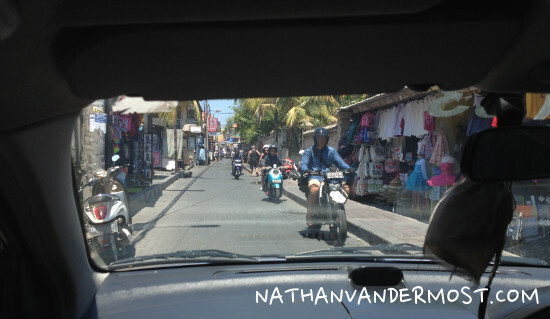 Driving in Thailand is crazy but Bali is worse! There are motorbikes everywhere! There are limited traffic lights. The white line dividing the road is a suggestion and I felt like most drivers were trying to play chicken with our taxi! Daniel and I found his accommodation and grabbed some food. Following, I decided to find my hostel and split ways. We exchanged contact info and hopefully will share some more adventures. Next objective, find a currency exchange. Now, it is important to mention that there are currency exchanges at the airport. It is also important to highlight the vast price differences of said exchanges. Whoa. The first exchanged 250 rupiah for 1 Thai Baht. The exchange literally next door offered, 325 Rupiah for 1 Thai Baht. That is a difference of 75 rupiah which is insignificant but as a percentage that represents a 30% difference!!! That starts to add up when you are exchanging larger sums of cash. The lesson here is to shop around before exchanging money. If you go with the first person that will exchange money, then you may lose a lot of hard earned money before you can spend it! I was very determined to get the best exchange possible. I literally spent 1-2 hours trying to find a bank that exchanged Thai baht at a fair price. After asking 2 banks, the 2nd directed me to BMC. They had an exchange of 350 rupiah to 1 Thai baht. Now, that is something I can work with. Be careful as there are many companies on the street that offer “money exchange” services that totally rip you off. You might as well, give your money away. Following, I found a taxi driver that was knowledgable of the area that my hostel was located. A drive that normally takes 25 minutes took 1.5 hrs because of insane traffic. 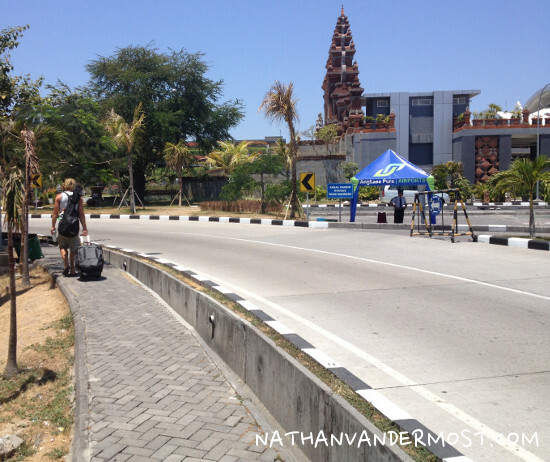 We departed Kuta around 3:30pm and a lot of hotel employees commute home at that time of day, in the same direction, on the same road. 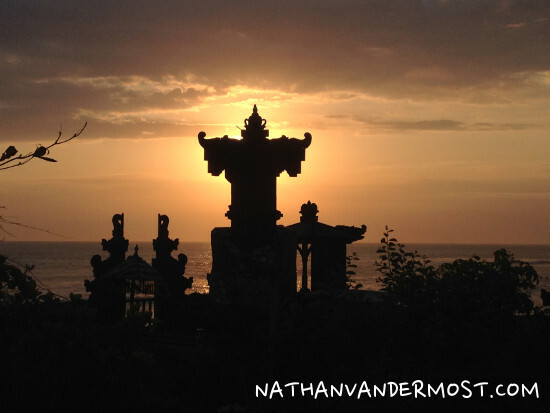 I did not mind as I was not in a hurry and had an excellent conversation with the taxi driver about life on Bali and how much it has changed over the years. My drivers name was Yoman and he was a funny character. He explained to me how difficult it is to get a customer during the low season. He said he usually has 1-2 customers per day! The previous day, he had none. It is the low season and so competition among taxi drivers is fierce. When you are trying to make a living and support a family then there is a lot at stake. 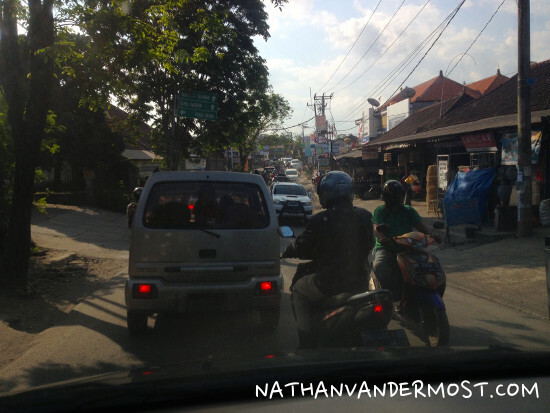 We eventually made it to the hostel and I paid 200,000 Rupiah or 16 USD for the ride. He was very grateful and I was happy to pay him for his excellent service and great conversation. More importantly, because I knew that money would help him get through another day. I had booked with the Surfers Dorm. The hostel was filled with several Germans, a women from Whales, and a guy from Singapore. Sweet! The rest of the evening was spent exploring the local area, checking out the beach and getting psyched for the next two weeks! Here we go!